Has online gaming changed on the PlayStation from PS2-PS4? 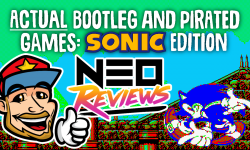 Firstly, an apology – I’m not sure I can classify this post as ‘strictly retro’ as I’m going to be mentioning current gen consoles as well (only back two generations I promise). There is something about online gaming that takes me back and I have the same nostalgic feeling that I have for my Master System. As someone who in recent years has ritually purchased every release CoD have thrust upon me and put more hours than I care to remember into games like Black Ops and Modern Warfare 3, I now find myself just putting them on having a couple of rounds and switching off my system whether I’m playing well or not. It appears the draw to me putting hours in has gone. I had thought that maybe it is I’m now the wrong side of 30 and I just don’t get the time, maybe it’s because my mates and I no longer have same systems… but even back when we all had PS3s everyone seemed to put in more hours and enjoy the games more than I did. So what had changed for me? 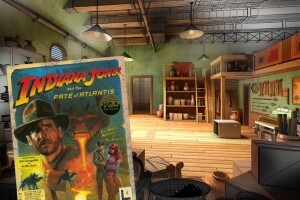 Well to answer that question I need to take you back to where my online gaming started. 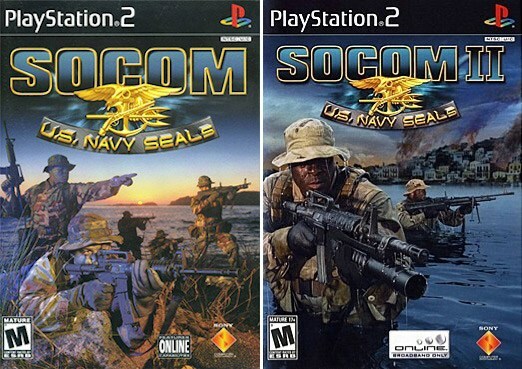 Unlike many I’d never had experience of online gaming till the PS2 and a game called SOCOM: NAVY SEALS. Many of you reading this probably had years more experience of online gaming via PC; I was lucky if I could buy a PC that ran the latest football manager not that I was poor, although I’m still not a millionaire, the price of a good gaming PC Vs a PS2 and my Friday Night drinking fund was only going to produce one winner; and it wasn’t Bill Gates. So what was it about online PS2 gaming that drew me in? SOCOM: NAVY SEALS. At the time I still lived at my parent’s house (so did my much older brother, which is even more sad). We both owned a PS2, because anyone with a sibling knows that sharing is just a myth invented by hippies and people without children, and our own copy of said game. It was no brainer that when we got back from a night at the pub drunken online gaming while eating a kebab from the local late night ecoli dealer was on the cards. It brought good banter to the house and plenty of arguments that we both laugh about now… Sometimes. But it wasn’t just me and my brother who seemed to play together; We joined a clan known then as the [S-A] which stood for the Suicide Army. It’s name was gained from the amount of accidental deaths the founder of the clan used to clock up, and although I’m talking about the best part of 15 years ago and I can still remember most of the members: its_jonesy, Jona, Dark destroyer, moomintroll, orphanmaker, Upthecherries, Kojak (my brother) , Lt_loko (Me) and Zeus Athens. That’s how much a part of my life this game was. The great thing about all these members, with the exception of upthecherries and Zeus Athens, that we were from the Midlands, and although we had never met, while playing we enjoyed one another’s banter and I decided I liked gaming with these guys. I’m sure if I could access MSN messenger now or if anyone except ‘Tom’ still had an operational MySpace account a couple of them would still be on there. As I said we got to know each other through chatting SOCOM, and evolution meant SOCOM II came with headsets. That’s something I no longer do either, I own a pair of Turtle Beaches and they hang lonely on the back of my door like that last bag of peanuts behind the bar after the Big D lady’s already been revealed. Why? Because nobody talks anymore; with the international spread of gaming platforms and worldwide availability it’s either in a language I don’t understand, some kid screeching down his headset in a pitch on I’m sure dogs can hear or even worse someone playing tinny music down the mic, not even good music half the time it’s just noise although I am assured by people of the younger generation it’s something called dustup… I digress. SOCOM and it’s follow up SOCOM II were different, they were polite, they were brought up correctly, goddammit it was gaming with manners. You had to press a button to speak, and once deemed you had had enough airtime it would cut off and allow your fellow gamer his 2 pence worth. No hogging of the coms, no one way conversation, during the round there was talk about the actual game like who was heading where, if you had seen someone etc. 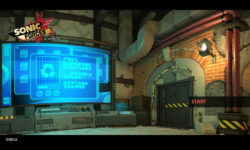 Chit chat was reserved for the main lobby of the room until play commenced; it was like a small community and I truly did love playing that game. The rooms were often created by ourselves with our own rules, i.e. no RPGs or sub machines guns and it was a UK only server – not that I’ve anything against friends from further afield, it just didn’t happen. You stuck to the rules or your team very quickly voted you out of the room if you did not change your weapon of choice – now you just log on find what you want to play and away you go. You and everyone from anywhere just shooting, ranting, it’s every man for himself with no sense of direction or teamwork. Another big difference was the invention of respawning. Back then if you died, you died. No kill cams until your last player bit the dust. If someone wanted to be a sniper he could stay there till he was worked out by the other team, not just hunted down by the last guy he shot. It was often just as much fun watching the last guy on your team cheering him on, as all the dead players could still talk to each other without the assistance of Derek Acorah, hoping he won you the round , saved the hostages or planted the bomb… But that’s all gone it’s just “Run and Gun” now nobody cares who’s doing what just as long as you clock up the kills. Thanks for the memories SOCOM. Let me know if you agree, played SOCOM, or even if you ARE one of those guys from the Suicide Army and any of your memories in the comments.